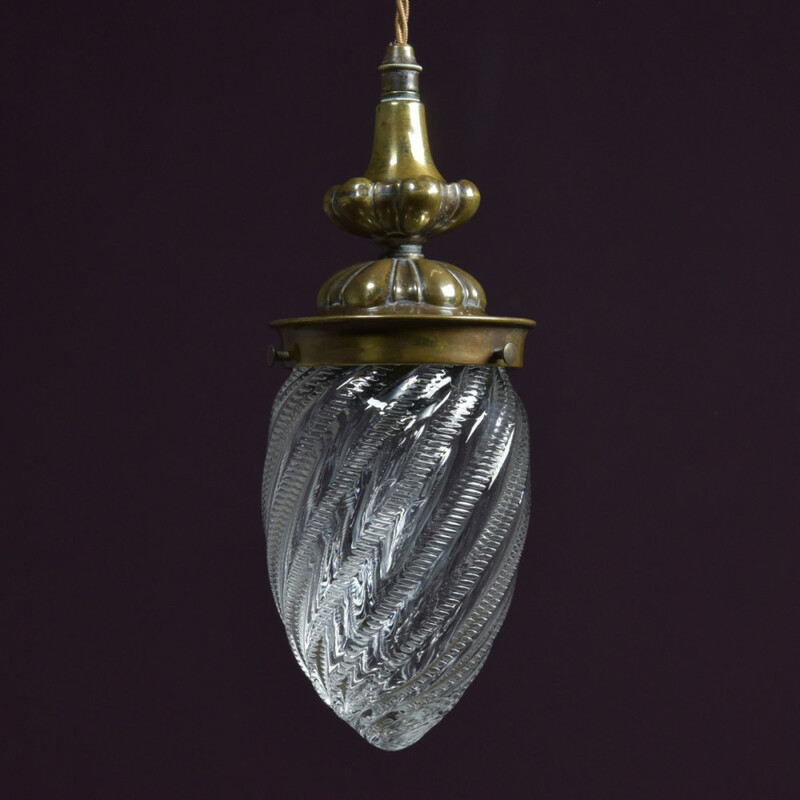 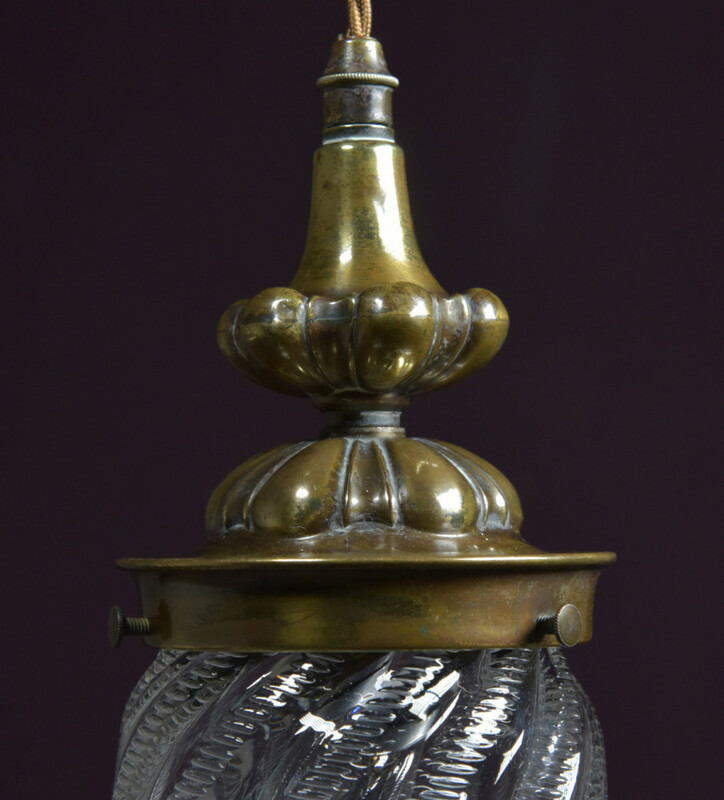 A remarkable blown glass antique pendant light shade with period brass fittings. 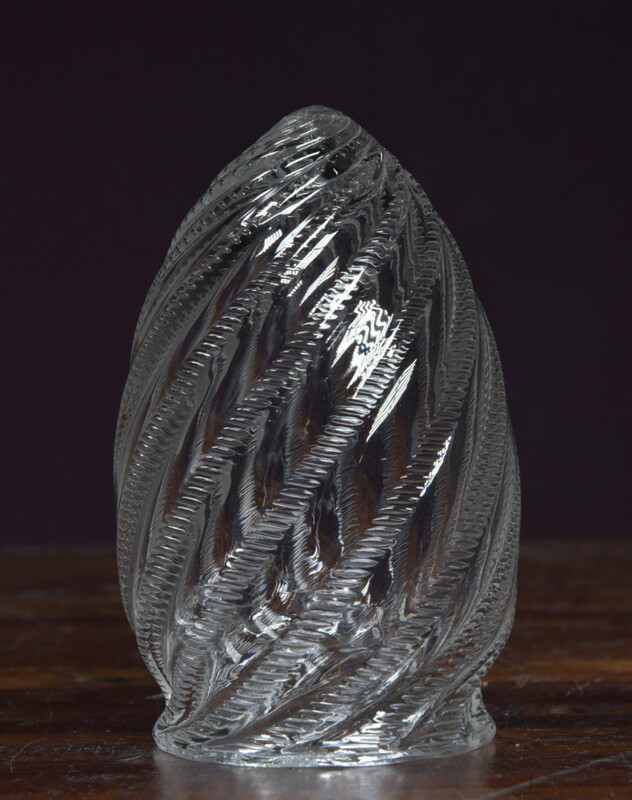 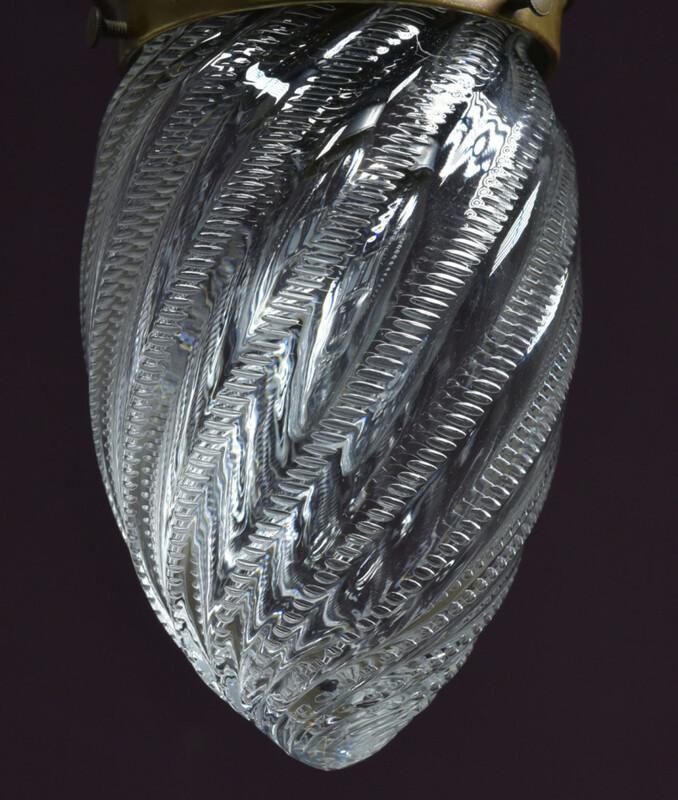 The twisted pineapple shade has hundreds of regular sized and placed air inclusions following the spiral ribs. 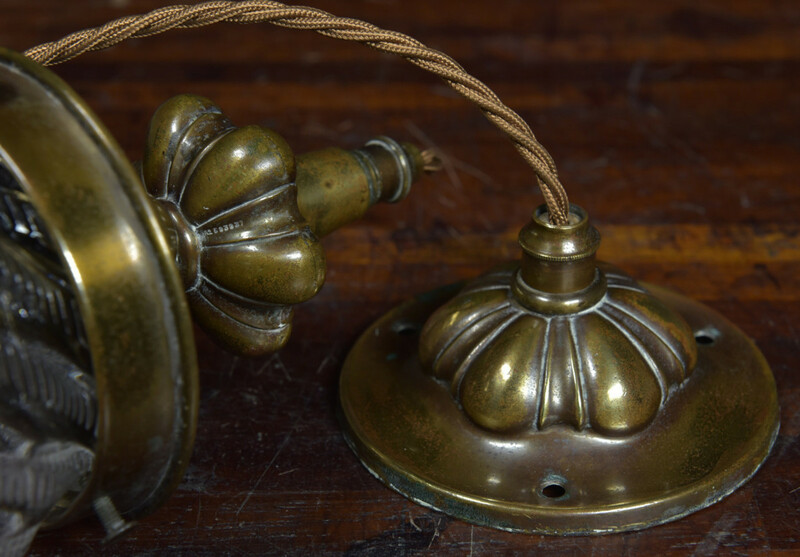 The lobed gallery and ceiling rose have good aged patina and retain their original brass and wood cord grips. 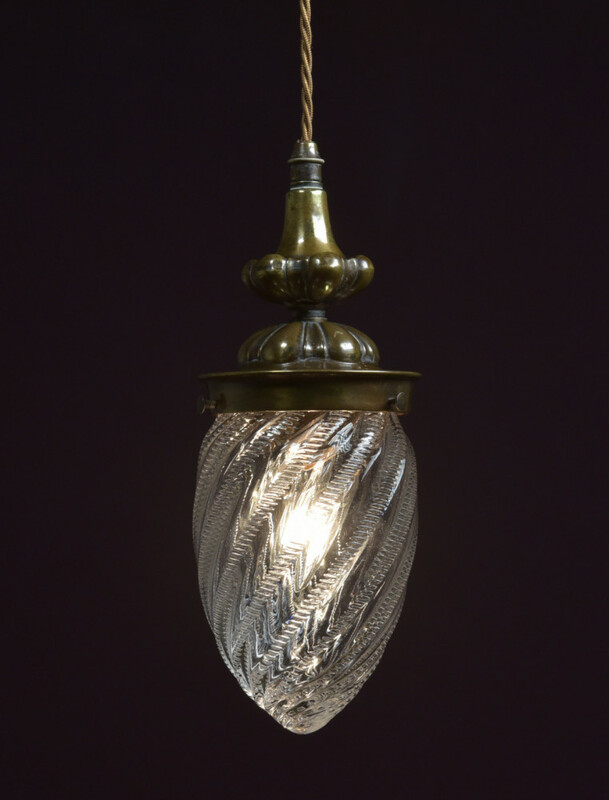 The gallery is also stamped with a registered design number ( 593937-1911) Rewired with approx 1meter fabric flex Dimensions in inches/cms; Shade and gallery 10.5"/27cms tall to top of cord grip Max diameter of shade and gallery approx 4"/10cms Ceiling plate/cordgrip - approx 4"/10cms diameter and 2"/5cms tall Total drop s wired is 43"/110cms (easily shortened) For more / higher res images please see my blog which can be accessed through the news section of this (haes) website.